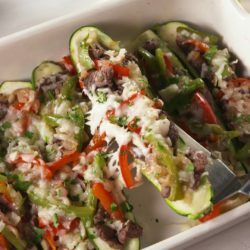 Confession: When making zucchini boats, we often forget to return the scooped out zucchini back to the mixture before baking (as evidenced in the video above). Do as we say, not as we do. 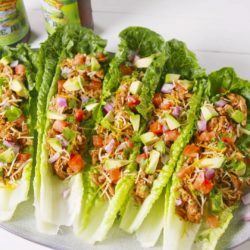 You’ll feel better making sure nothing goes to waste; plus, it’s healthy. Confession: It’s been a long time since we’ve been to Red Robin, but we’ll always remember their campfire sauce. 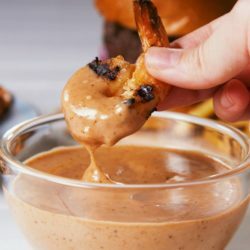 A mixture of mayo and barbecue sauce, it tastes good on literally everything. Burgers, fries, onion rings, tater tots, shrimp … the possibilities are endless. 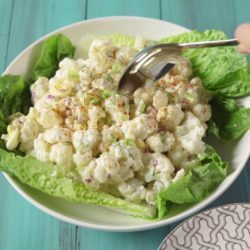 You won’t believe it’s not potato salad. 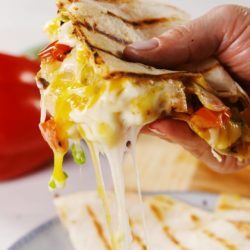 Grilling ALL the ingredients makes for a much more flavorful quesadilla. 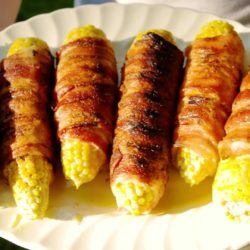 Try it, and you won’t want to make them any other way! 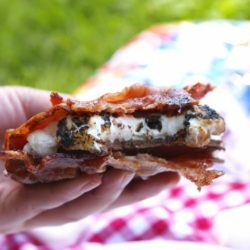 Brown sugar and bacon take s’more to the NEXT LEVEL. Everyone has a cookie monster in their life. 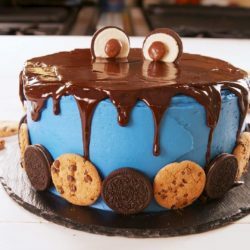 This insanely cute layer cake is the perfect birthday dessert for anyone who knows chopped Oreos makes everything taste a little better. Even though it looks complicated, any beginner baker can pull this off. Plus, the ganache topping hides any frosting faux pas. Moscato lovers: If you can find in season peaches, use ’em! 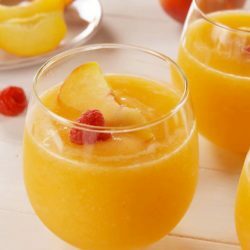 Just add a little ice to the blender to chill the drink. 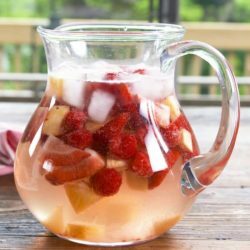 The secret to the best white wine sangria? Moscato, of course! We added lemon-lime soda and seltzer for some bubbles, but both are optional.